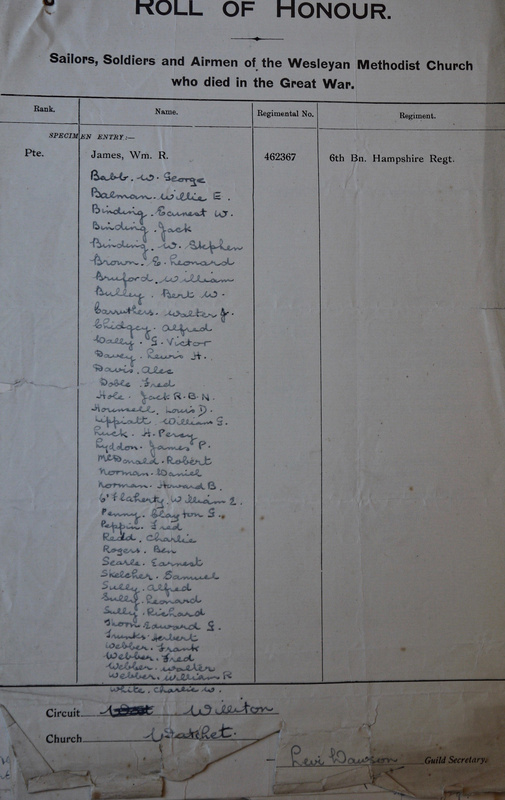 The Wesley Guild Secretary in Watchet supplied a list of thirty-nine names. 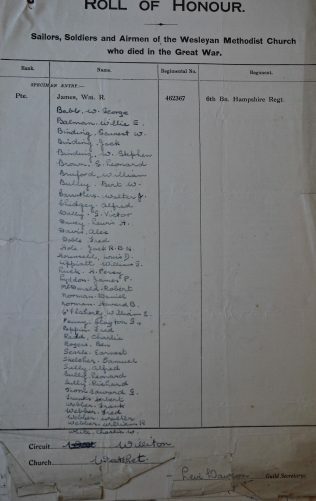 When the local community were asked in 1920 how they wished to commemorate their war dead, they chose to have a memorial sports field, so this document may have been the only record of those who fell. The question is whether Levi Dawson supplied a full list, knowing they had no other local memorial, or whether Wesleyan Methodism was so strong in Watchet that over 90% of the fallen were Methodists. To this day there are also Anglican, Baptist and another Methodist (ex-Bible Christian) places of worship in the area.